Interim manager Mick Harford and a host of other Hatters legends hailed the news that the club received planning permission for a new ground at Power Court yesterday. Luton Borough Council agreed to the application for Town to build a 17,500 all-seater stadium on the derelict site, almost two and half years after the Hatters submitted their plans. Speaking to the press today, Harford, who scored 92 goals in 217 games, while also leading the club to Johnstone's Paint Trophy victory during his first spell in charge, said: “It’s monumental, absolutely fantastic news for everyone connected with the football club and the town. "It’s the best news the football club has had in years. Former player and manager Ricky Hill, who made 508 appearances for Luton, scoring 65 times, tweeted: "Great news that @lutoncouncil have granted planning permission to @LutonTown. "Our wonderful supporters and Town deserve this exciting venture #COYH." Former chairman Nick Owen also tweeted: "After 60 years supporting Luton Town FC, this a truly wonderful moment. "Thrilled for all my fellow fans and for the officials at the club who’ve worked so hard to make this happen. Thank you." Ex-defender, Marvin Johnson, who made 439 appearances, scoring 10 goals, said: "Wowzer!!! Fantastic news planning permission granted for the new stadium. "This has been in the pipeline for a long time. The whole town must be absolutely buzzing! Legendary striker Steve Howard, scorer of 103 goals in 228 matches, said: "Fantastic news! 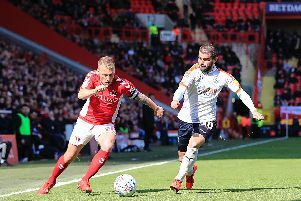 !," while defender Steve Davis, who featured over 150 times, tweeted: "Brilliant news for @LutonTown its been a long time coming!" One time goalkeeper Dean Brill, now with Leyton Orient, said: "Amazing news for everyone in the town and the club! "What we’ve all been dreaming of @LutonTown #COYH." Finally, ex-England international and Newcastle midfielder Rob Lee, dad to Town attacker Elliot, added: "Congratulations to everybody @LutonTown !!! New stadium on its way."